The Tyldesleys were for many generations the owners of the Wardley Hall estate, which was described in the inquisition taken after the death of Hugh Tydesley in 1435 as twelve messuages, one hundred acres of arable land, twelve acres of meadow, one hundred acres of wood, one hundred acres of pasture, and one hundred acres of moss land, with their appurtenances, said to be worth clear, ten marks per annum, so that it was a property of considerable extent. In that taken after the death of Thurstan, his great-great-grandson, in 1554, it is described as a capital messuage called Wardeley Hall, and six messuages, two cottages, a water mill, one hundred acres of arable land, thirty acres of meadow, one hundred acres of pasture, six acres of wood and underwood, and two hundred acres of moss land and turbary—the right to dig peat—with their appurtenances, and it was said to be worth clear, twenty marks per annum. This increase of value between the two inquisitions, embracing a period of 120 years, was probably due to more active cultivation, the rebuilding of the hall (which is said to have been done by this Thurstan) and the denuding of tihe woods, and bringing the soil into agricultural use. Thurstan Tyldesley was a man of some importance. He was in the commission of the peace and a grand juryman for the County Palatine of Lancaster in the fourteenth year of Henry VIII. (1522). His inquisition declared that Thomas Tyldesley, Esq., was his son and heir, and forty-three years of age. Thomas was twice married, his first, wife being Petronilla, or Parnell, daughter of Geoffrey Shakerley of Shakerley. The issue from this marriage, besides other children, was a daughter, Alice, who became the wife of Sir Robert Worsley, of Boothes, knight. The second wife of Thurstan Tyldesley was Jane, daughter of Sir Ralph Langton, of Newton, by whom he had issue three daughters—Mary, wife of Ralph Standish, of Standish; Anne, the wife of Richard Massey, of Rixton; and Dorothy, the wife of Richard Brereton, of Worsley; and one son, Edward, who married Anne, daughter and sole heiress of Thomas Leyland, of Morleys Hall, in Astley. Concerning this latter alliance, there is a current tradition to the effect that the heiress of the Leylands halving formed an attachment to the younger son of the Tyldesleys—in opposition to the wishes of her father—was confined to her room in Morleys Hall; but verifying the truth of the old adage that ''love laughs at locksmiths," she contrived to possess herself of a rope, one end of which she fastened to her person, and the other she threw to her expectant lover on the other side of the moat. Then easing herself into the water, she was drawn to land, and before her family had become aware of her escape, the marriage ceremony had been performed. Thomas and Edward, the two sons of Thurstan Tyldesley, became the heads of distinct houses. 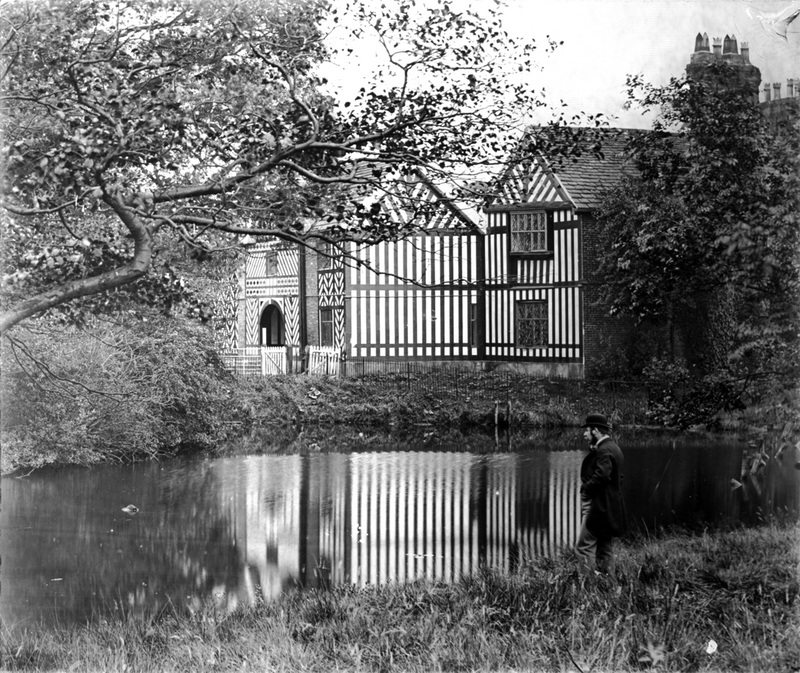 Thomas, the elder, resided at Wardley, whilst Edward, the younger, retaining the Tyldesley estates, settled at Morleys, which, as we have seen, he had acquired by his marriage with the heiress of the Leylands. As will be seen in later posts, this legend of the elopement of Edward Tyldesley and Anne Leyland around 1559 was to inspire two poems entitled "Morley Hall"—the first by C. Peter in 1834 and the second, unfinished, by Branwell Brontë in 1846.